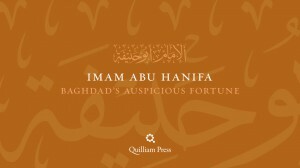 Imam Abu Hanifa an-Nu’man ibn Thabit (d. 767), the master-scholar of Iraq, was one of the four great Mujtahid Imams, after whom were named the four Madhhabs to which Sunni Muslims belong. 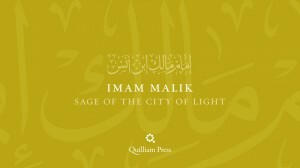 A pupil of Imam Malik, he was celebrated for his intelligence, and his school is famous for its high opinion of the Divine gift of reason. In this the Imam was a faithful follower of the first generation of Muslims. According to many historians, he had the honour to meet several of the Companions of the Holy Prophet. 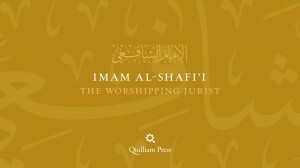 His emphasis on rational approaches in law and theology, which went beyond even the method of Imam al-Shafi’i, did much to trigger systematic jurisprudence and theology in the Islamic world. Partly for this reason, a majority of Muslims in the world today are followers of his school. Imam Muhammad ibn Idris al-Shafi’i was perhaps the greatest legal theorist of human history. 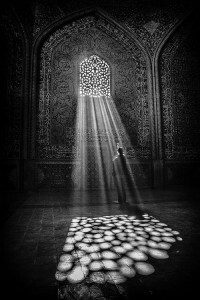 A pupil of Imam Malik, he strove constantly to root Muslim practice in the blessed ways of the Chosen One, upon him be peace. 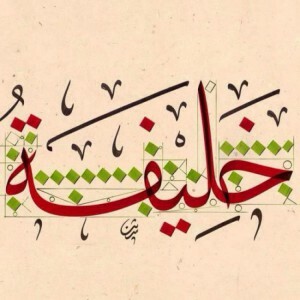 Thus he was honoured with the title ‘Nasir al-Sunna’, the Supporter of the Sunna. This emphasis on transmission was matched by his underlining the principle of aql, intellect, in solving problems of doctrine and law. A deeply-cultured human being, he was noted for his skill in archery and poetry, as well for his mastery of Sacred Law. 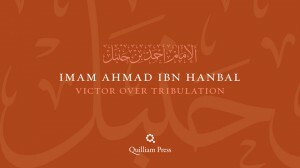 Imam Ahmad ibn Hanbal (d.855) was the fourth and last of the founders of the four Sunni Schools of Fiqh. Famous mainly as a narrator and compiler of Hadith, he was also widely respected for his knowledge of law, in which he preferred to avoid verdicts in which human reason was in danger of straying from the plain sense of the Qur’an and the Sunna. 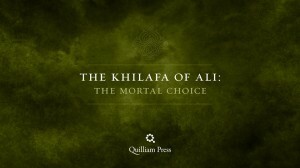 The hero of the Sunni persecution at the hands of the heretic caliph al-Ma’mun, he won the affection and respect of followers of all the rightly-guided schools of Islam. 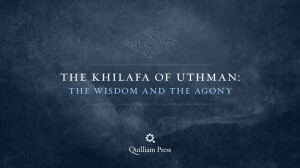 Presented in Oslo on 18-19 March 2011; audio courtesy of Muhammad Hudayi. Part 2: Shaykh Abdal Hakim Murad explores some of the basic principles that need to be considered when examining the history of the umma (community) and what large lessons might be learned from it. In particular, he looks at those which can be described as ‘sharia-oriented’ or theological. Two of them in particular have been important to Muslims: How does power and statehood work? What is the role of the Muslim regarding political power: should one seek it? What should be one’s relationship to a ruler? The second is a theological issue: what is actually happening in history? Is history just a kind of puppet show? Is there a reality to cause and effect? And beyond that is the issue of destiny and providence. Is there a discernable pattern – God’s way of dealing with human beings – that can enable us to see history as something that has a religious significance and that can continue to teach us? Part 4: This track begins with the story of the encounter between Prophet Muhammad and Christian scholar Waraqa ibn Nawfal and speculation regarding Waraqa’s reading the text in Hebrew. Murad continues with the first revelation, the first believers and the persecution of the early believers leading to the first emigration to Abyssinia. Part 5: Shaykh Abdal Hakim Murad discusses the Umayyads leading up to the Abbasid revolution and the fragmentation of the central states. He covers the Abbasid rule – which is for many historians the Golden Age of Islamic civilization – with the capital being moved from Damascus to Baghdad. Part 6: Eventually, the Abbasid caliph becomes a secondary figure, almost a symbol. Real power is increasingly in the hands of the body guards, the Imperial Guard and hence the figure of the vizier morphs into the figure of the Sultan. This process begins with the family of the viziers in the second and third centuries of their rule. More significantly, the emergence of the Seljuk’s (Turkish-speaking soldiers, military-types, administrators) begin effectively as rulers when they establish themselves as the real power in the land. Shaykh Abdal Hakim Muradleads up to the spread of Islam to the south and the north and the East, whereby the principle agent of Islamization seems to have been the tariqas. Part 7: Shaykh Abdal Hakim Murad examines the unanimity across the classical Islamic world despite the absence of an overriding body that could have forced conformity and delves into the question of the fate of local cultures. 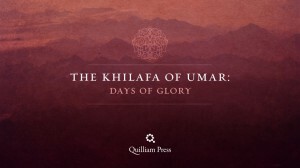 He argues that Islam’s capacity to maintain this balance between the universal and the particular is important and that this is a universal feature of Islamic history. Islam does not ‘Arabize’ despite the use of the Arabic language in worship and but instead ‘monotheizes’ local cultures. A historical incident is just an isolated event that happens once and is never repeated again. If the researchers and historians all agree on the occurrence of one incident then surely their interpretation for its causes and motives will vary according to their different approaches. Each one will be impacted by his faith, his intellectual and cultural making, and his own perceptions to human life and the role of man in such an incident.